I’m obscenely snowed under, not with actual snow, but with work, and have so little time for blogging at the moment so forgive me for today as I lazily cut and paste copy from the official chat about designer Jonathon Rayson. Copy and paste is the lazy bloggers approach to article writing and I usually don’t do it, but today I just have to make an exception. It was either that or nothing at all. Jonathan Rayson is a contemporary British women's wear designer and graduate of of London's Central Saint Martins. Currently embarking on launching his own eponymous ready-to-wear label and design studio in the heart of London; the facility will be one of exploration and development of conceptual art installations and collaborations through the fashion lens. "Warped" is his Central Saint Martins graduate collection. 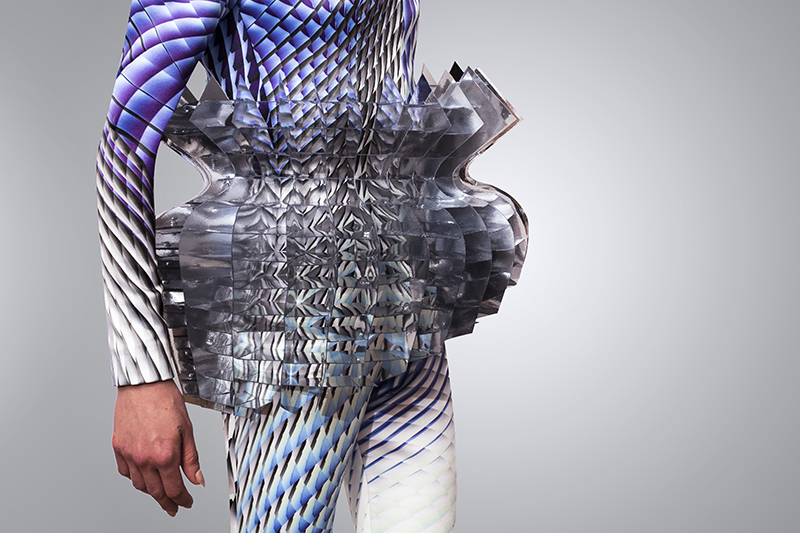 The process and development was an investigation of chaos theory, architecture, golden ratio channeled through the exploration of slice-form technique into wearable human form.